Ireland prop Tom Court has been called up to the British & Irish Lions squad. 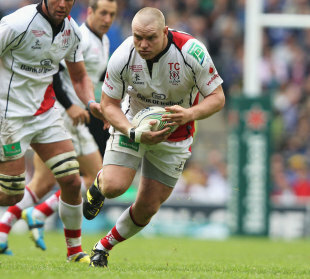 The Ulster loose-head, currently in his home city of Brisbane after Ireland's tour of North America, was drafted in after it was confirmed that Alex Corbisiero suffered a calf muscle injury during the first Test victory over Australia. Corbisiero, himself an injury replacement who joined the tour earlier in June from England's two-Test trip to Argentina, went off early in the second half in Brisbane. Court will join the squad on Monday and go straight on to the bench for the final midweek game against Melbourne Rebels on Tuesday, with Mako Vunipola - who is likely to start the second Test starter if Corbisiero is ruled out - withdrawn from the match-day 23 having initially been named among the replacements. The Lions have also been handed another major injury scare with news that lock Paul O'Connell suffered an arm injury in the 23-21 victory at Suncorp Stadium, but he continues to be "treated and assessed". Initial fears that he had been ruled out of the tour appear to have been unfounded, but should O'Connell not make the second Test it would serve as a massive blow to their hopes of a first series victory since 1997. If O'Connell were to be sidelined, England and Leicester lock Geoff Parling would be favourite to replace him alongside Alun-Wyn Jones in the second-row. However, Parling is set to lead the Lions into their clash with the Rebels on Tuesday night. There was more positive news with centres Manu Tuilagi and Jamie Roberts both in contention to make it after recovering from respective shoulder and hamstring injuries, along with wing Tommy Bowe, who has recovered rapidly after suffering a broken hand against the Reds.